This sweet vintage cook-booklet was published by California and Hawaiian Sugar Refining Corp., date unknown. 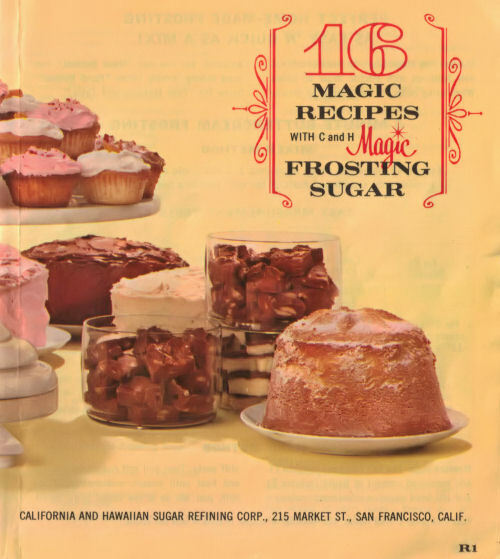 The booklet has a variety of recipes for frostings but a few sweet treats too such as fudge. Each page is available to review by clicking one of the title links below...you'll be able to browse through a complete re-typed format as well as images of all the pages.